Exact details of the construction of this scoreboard are sketchy. Sam Loxton played 12 Tests for Australia and 146 first-class games overall, with a highest score of 232 not out in state cricket. Ian Huntington, an all-rounder, played 46 games for Victoria between 1953 and 1976. 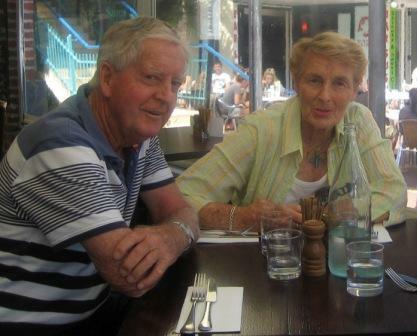 Ian Huntington, and wife Marie, shortly before his 80th birthday. Ian is still going strong, playing golf off a handicap of 13 and coaching many grandchildren and others at cricket. 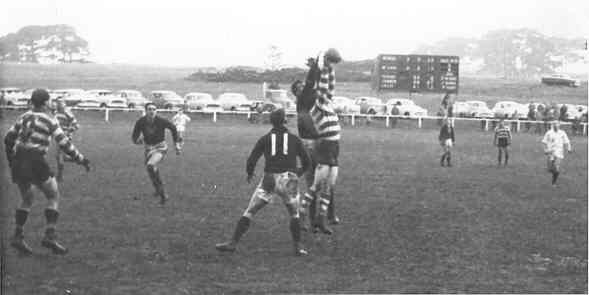 Reid Oval opened for cricket in October 1951. Warrnambool Football Club moved there in 1956. 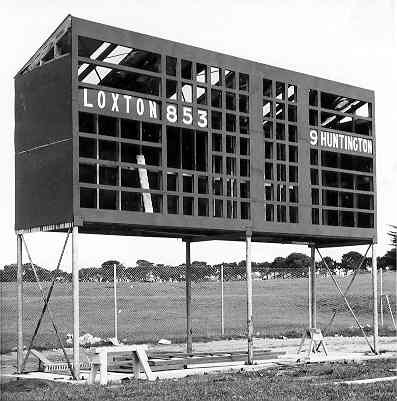 In September of this year Victoria’s Sports Minister, former Essendon player Hugh Delahunty, said Reid Oval was in serious need of redevelopment. Ian Huntington turns 80 on Tuesday 18 October. Still going strong, playing golf with a handicap of 13 and coaching many grandchildren and others at cricket.